“Obama loves the Chevy Volt! Of course, the Secret Service won’t let him actually drive one, possibly because they are incredibly unsafe and unreliable and tend to burst into flame when used.” -- Glenn Beck. Lou Dobbs said, [the Volt] "doesn't work [because] it doesn't go fast and go far on electricity. What happens is it catches fire.” Bill O’Reilly said in an offhand comment that “Several [Volts] have caught fire.” Well, several would mean more than two, which is false. And the manner in which they caught fire is a much more important fact that certain conservative pundits have neglected to explain. On May 12, 2011 a Chevrolet Volt was crash tested by the NHTSA (National Highway Traffic Safety Administration). This test involves running a 3015 pound sled into the side of the Volt at 38.6 MPH. This test is to compare vehicles and is 5 MPH faster than the test required for certification and sale in the U.S. The Volt received the highest 5-Star rating in this test. As you can see from the NHTSA video, this is an extremely violent crash. But, the Volt did not catch fire the day of the crash. Or the next day. Or the next week. Three weeks after the test, while the Volt was stored on a back lot of the NHTSA test facility in Wisconsin, the Lithium Ion battery system caught fire. Also, the battery was never discharged after the test, while gasoline-powered vehicles are emptied of fuel prior to such a crash test. A second fire after another crash test happened later, under similar circumstances. Bob Lutz, a Senior VP at General Motors stated, “Not one Chevrolet Volt has ever caught fire in normal use or in accidents. Not a single one.” And after a full investigation, the NHTSA declared, "The Chevy Volt isn't prone to catching fire after all." Also from Glenn Beck came a comparison of the Volt’s range to the range of the Nissan Leaf: 35 miles compared to over 100. The first problem is that Mr. Beck used the NHTSA stated range for the Volt, but used Nissan’s own real-world range. The NHTSA rates the Leaf as having a 73 mile range under their less than perfect conditions. For 2013 the Volt gets a bump to 38 miles EPA driving range. The much bigger problem, is that Mr. Beck fails to say that the Volt then seamlessly starts its gasoline motor and continues to drive a total range of 380 miles. Then it can pull into a gas station and refill in minutes. The Leaf needs a tow truck after its 73 mile range, or it can pull into a very limited number of quick-charge stations and receive an 80% charge after half an hour, letting it travel an additional 58 or 59 miles. The difference is that the Volt is an extended range electric vehicle. It has a 1.4 liter four cylinder that can recharge the batteries and keep it going. It takes the Volt out of the realm of expensive toy for the rich who want environmental credibility and into the category of a real car you can comfortably drive every day. By the way, the electricity-only range of the Fisker Karma is only 33 miles, and the new Prius Plug-In Hybrid is only 11 miles. Volt wins! Right on the EPA website, the fuel mileage of the Toyota Prius standard version is listed as 50 miles per gallon in combined driving, while the Volt is a combined 37 miles per gallon. So it’s true! However, that is the Volt’s mileage after discharging its batteries. 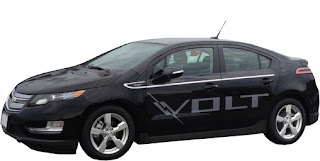 The Volt is rated at a combined 98 MPG equivalency running on electricity. That is better than the comparable 95 MPGe rating of the Prius Plug-In hybrid recently introduced by Toyota. True, if driven without charging, the Volt will consume more gas than a Prius and it needs premium. But the Volt was not designed to run on gasoline alone. The gas engine is just there so its owners don’t have to worry about running out of juice. The base price for the 2013 Volt is $39,145, including the destination charge. The 2012 Nissan Leaf lists for $36050, over $3000 less! Of course, it has no gasoline range extending engine. Neither of these prices take into account a $7500 tax credit for purchasing a Volt. Of course you have to file your taxes and wait for the money. The 2012 Prius is $24,795. But the Prius will not drive 38 or 44 miles (GM’s estimate) on electricity alone. $32750 will get you a plug-in Prius, but its electricity-only range is 11 miles. If you really want to stay away from gasoline, that’s a little short, but its gasoline-only mileage is 50 MPG combined. But, the plug-in Prius is only sold in 14 states. The Volt is nation wide. BTW, the Prius is the number one trade-in for Volt buyers. Two figures are bandies about: $200,000 for every Volt sold and $49,000 (Reuters). I couldn’t find any corroboration for either of these figures, but we can assume they are a some result of a calculation of the amount GM received in the auto bailouts (about $50 billion), the development cost totals for the Volt, the cost of labor and parts for each Volt’s construction, minus the price of each Volt times the number sold. We could go through the math, but this type of calculation has a few problems. One, it is an extrapolation, based on knowing how many Volts will be sold throughout its life-span. Also, it does not take into account that the development costs of the Volt will be spread across other cars (the Chevrolet Cruise uses some of the chassis and fuel-saving tricks developed) and to future versions. When the Prius first came out estimates were made that Toyota lost $50,000 on each one it sold. These were the same kind of projections. Obviously, if you look at the numbers on the Prius now, it is a profit center for Toyota. Even if it is not ever profitable, the CAFE (Corporate Average Fuel Economy) rules would make it worthwhile, as it helps improve GM’s overall fuel mileage so they can sell more profitable Camaro ZL1s and Suburbans. And the Prius allows Toyota to sell more Land Cruisers (13 city/18 highway MPG). Welcome to the over-regulated U.S. auto market! Another way the taxpayer is out-of-pocket on every Volt sold is the $7500 tax credit on electric and plug-in hybrid vehicles. This subsidy is a little like giving upper middle-class a bonus to help them look green-friendly. However, this tax benefit was signed into law by George W. Bush, though passed by a predominantly Democratic Congress. Also, MITI (Japan’s governmental agency in charge of industrial output and development) subsidized the Prius, and also gave bailout money to keep Toyota and other Japanese automakers afloat through the downturn of 2008-2009 and also after the destruction of the Tsunami. Many articles have crowed how the Volt has failed to meet its sales targets (it has), selling only 7671 in its first full year on sale. In 2000, the Prius’ first full year on sale, it sold only 5562 cars. In that year, the Honda Insight, which predated the Prius, only sold 3788 copies in 2000. That Insight, a two-seater, was eventually discontinued due to poor sales. Worldwide, the Volt (and its European sister car the Ampera) have sold over 26,000 units as of August 2012. Cars don’t sprout out of factories fully formed after a few months of frantic scrambling around. The Chevrolet Volt was being developed by GM several years before its bankruptcy. A prototype was shown in 2007, when George W Bush was still in office. Development of the Volt was delayed by at least a year during GM’s financial crisis. 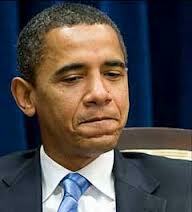 It was a major focus of the Obama administration’s managed bankruptcy. The Obama administration influenced GM in its continued development. But the vast majority of development money had already been spent, and it would have been entirely wasted if the project had been scrapped. It is much too soon to determine the success of the Volt, or its overall development as a whole. At an average cost of electricity, it only costs $1.55 to charge the Volt. To drive the equivalent 35 miles in a Toyota Prius costs $2.73. In Hawaii, electricity costs the most. It will cost $3.74 to recharge the Volt in Hawaii. $2.95 is the cost to drive the Prius in Hawaii. In most of the country, Volt wins! In Hawaii, Prius wins. Overall, charging every night will cost a lot less than running a small air conditioner or space heater. A little more than a refrigerator or TV. See the above. Court is out on whether it is a victory. And he’ll have to share credit with pre-Obama GM and George W. Think he’s willing to do that? Thought so. The fuels used to generate electricity are almost all homegrown: coal, natural gas, nuclear. However, the battery packs in the Volt are not. The battery system in the Volt is manufactured in Brownstone Township, MI, but the lithium ion cells it is assembled from are mostly supplied by a division of Samsung, a Korean company. And the lithium is mostly produced in China. A huge natural reserve of rare metals, including lithium were just discovered outside of China... in Afghanistan. South American mines produce 60% of the world’s lithium so the prospect of buying from more friendly countries is present. Of course, except during the first 38 miles (EPA estimate, 2013 Volt), the Volt will burn gasoline made from oil, without caring whether it came from Texas, Canada or Saudi Arabia. It could help, but considering the electricity produced in this country is generated by burning coal, natural gas and oil more than non-fossil fuels, and that power has to be transmitted across power lines, losing some to resistance, and then through a charger into the battery, the Volt will not eliminate carbon dioxide output, even if driven only 38 miles at a time. It’s not for every one. It is expensive, and will not get higher fuel mileage than a Chevy Cruze ECO after its battery is depleted. It only seats four and has a smaller trunk than the Cruze. The Volt is a marvel of engineering. Its development will advance General Motor’s overall fuel efficiency across its line of vehicles. It can be purchased by people who have a personal wish to reduce their dependence on fossil fuels, without it being a second car they can only drive on short trips, limited by an absolute range. It has been given the federal government’s highest crash test ratings (overall 5 Stars), and is also a “Top Pick” for safety by the Insurance Institute of Highway Safety. It was chosen as North American Car of the Year by North American automotive writers.